It is an established and widely used practice in many industries for manufacturers to identify themselves on their products, and to specify their serial or works number. This is often accomplished by means of a small metal manufacturers' plate attached to the component or complete product in a prominent or sometimes hidden location. Aircraft manufacturers and their component suppliers are no exception in this, and German aircraft companies continued the practice even well into World War 2. Due to this, captured German aircraft tended to give much useful data about themselves to their new owners, once the relevant makers' plates had been discovered and read. There is no doubt that several factories found themselves on the list of targets for Allied bombers due to such information being contained on their products, this source of information being a useful addition to the Allies' overall intelligence effort to identify targets in the German aircraft industry. Growing concern within the RLM, the Luftwaffe and the aircraft industry in general eventually resulted in moves to end this highly informative practice, and generally from 1942 onwards (but with exceptions) a new system was introduced in which three-digit codes were used on simplified manufacturers' plates. Just where the official sanction came from for this new system is not easy to determine. However, it did begin to arise at around the time that Werk Nummer sequences were being deliberately changed on RLM insistence also for security reasons. The three-digit codes identified the manufacturer of the aircraft to those in the know, but not to the Allies. It was intended that these codes would be written in lower case lettering. However, this was not necessarily the case on the plates themselves. An example is the manufacturer's plate discovered within the fuselage of the preserved Fw 190F-8 W.Nr. 931884, which is part of the National Air and Space Museum (NASM) in the United States. During the complete restoration of this aircraft in the early 1980s, the manufacturer's plate found in the aircraft's fuselage contained the three-digit manufacturer's code HKZ stamped in capital letters. This fuselage had originally been part of Fw 190 W.Nr. 640069 built by Arado at Warnemunde. 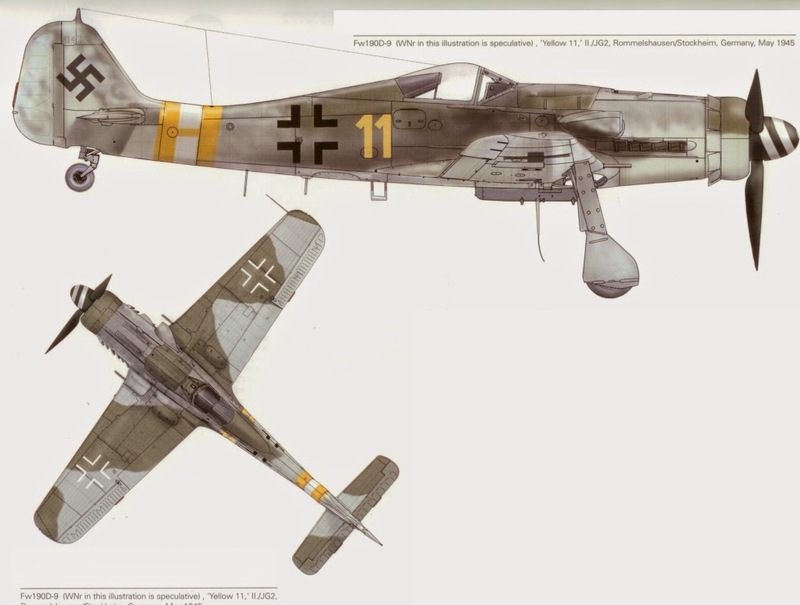 It was almost certainly an Fw 190A-7.The fuselage of this aircraft, including its manufacturer's data plate, was then incorporated into the parts that were subsequently made up as Fw 190F-8 W.Nr. 931884 - yet another example of one Fw 190 being re-cycled into another. The exact location where W.Nr. 931884 was fabricated, incidentally, is open to debate. Research by the NASM at the time of the aircraft's restoration suggested that the work was performed by Arado at Warnemunde, but it now seems more likely that it was put together by Norddeutsche Dornier at Wismar. It took the NASM, incidentally, just over three years - and 13,604 man hours - to completely restore this historic aircraft to static display condition.